What's up with Walt? - Okay, they better have plans for the boy with special powers in the final season! Yes, they had to work around the kid aging so they wrote a kidnapping story and eventually got him off of the island. But before his departure, we saw Walt had some strange ability to make things happen by looking at objects or visualizing them (The polar bear in Hurley's comic book, the dice in backgammon, Locke teaching him how to throw the knife, the dead bird hitting the window in Australia after him reading it in the book, etc...). Then there was that crazy moment where Locke touched his arm at the end of season 1 and Walt got a weird feeling and said "Don't Open it!" (referring to the hatch) And of course, let's not forget him appearing drenched in the jungle in front of Shannon and talking all backwards and stuff. And then Ben (Henry Gale at the time) told Michael that "they got more than they bargained for with Walt) before he sent them back to the real world. If that wasn't enough, then the writers/producers decided to address Walt's aging in season 3 when they had him appear to Locke and save him from killing himself...telling John "you have work to do" (a common theme in LOST). We could have passed it off as the actor getting older if John and Sawyer didn't discuss it and call him "Taller Ghost Walt". Yes, we see him 3 years later off of the Island and he's clearly older. And he's having crazy dreams about Locke surrounded by people with guns. 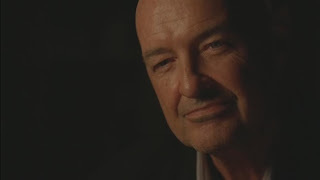 So then I asked in the blog...as time was passing off of the island, was Walt possibly having dreams about Locke and unintentionally making appearances ON the Island to save his life (a la in season 3)? Sounds far fetched, but this IS LOST we are talking about right? So, this sounds like a lot of stuff about a character that needs resolution, right? And yes, the icing on the cake would be to have some kind of resolution between Michael and Walt after they left things unsettled in season 4. Will Walt return to the island and get a chance to talk to Ghost Dad and be reunited with Vincent? For this story to be complete, I'm going to required some of this to happen! Desmond's Incomplete Story - Henry Ian Cusick (actor portraying Desmond) did something amazing when joining the LOST squad. 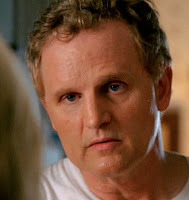 He found a way to become one of the most interesting and one of my favorite characters on the show (even though he didn't appear until season 2). But he did earn a character-centric finale (season 2) where many details of his pre-island history were dished out to us. One of the biggest things that seems unresolved from Desmond's past is his Military background. Yes, we see 1996 Military Desmond time jumping to 2004 and needing his Constant and everything, but we have yet to see WHY he was dishonorably discharged from the Scottish Guard. Are we to assume that it is because he was a coward and ran away from everything he had ever done? Are we to assume the introduced that tidbit in season 2, as a possible lead for a future character-centric story if they didn't get to define their Season 6 end date? Or, is this some vital piece of information from Desmond's history that will be revealed in his final character-centric episode of season 6? 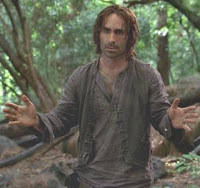 (Cusick is no longer a full-time castmember on LOST but he will get his on Centric story). In addition to this, Eloise Hawking told Desmond that the Island is not done with him. And of course, we know that Desmond somehow defies the Time Travel logic and rules as Daniel told him the "rules do not apply to you. you are unique and special" or something like that. Will that play a role in all of this Reboot craziness? 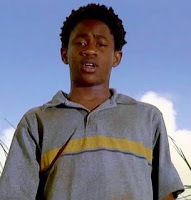 So will Desmond return to the Island in present day? Will Penny and little Charlie come with them? I'm sure some of this will be answered. But as for the military story? That one I see going either way. Eloise Hawking's Knowledge of the Future - Okay, this one I pretty much have figured out. When first meeting Mrs. Hawking in Desmond's first time travel episode (Season 3's "Flashes Before Your Eyes", she clearly had knowledge of what Desmond was supposed to do. It made no sense to us. How did she know what was going to happen? Had she already experienced it? Was she time traveling? It appears like she was not. It was her son, Daniel Faraday that was time traveling. Young Eloise Hawking ended up killing Future Daniel and taking his journal. By reading this journal, she would be able to learn about Desmond (since Daniel wrote about Desmond being his constant) and be able to know the future until 2007. So when Desmond and Eloise talk in I guess 2001, it makes sense that she says "you don't take the ring. You go to the island and push the button to save the world. And this is the only good thing you will do your entire life" Or something like that. It all makes sense right? Okay, then riddle me this: how on earth did she know the man with the red shoes was going to die? Was that in the journal too? Seems like a pretty random event to be captured in the journal. Yes, it was meant to be a Wizard of Oz reference, but is there more to Eloise's knowledge of future events? Something tells me we might not get this answer. But it has bugged me since we saw "The Variable" in season 5. It's questions like this that we'll probably have to draw our own conclusions to after the show is over! The Tale of Henry Gale - Yes, we know the FAKE tale of Henry Gale. The man that pretended to be him turned out to be one of the most awesome villains of all time - Ben Linus (remember when we all refused to call him Ben because we were so used to Henry? So we called him Benry? Ahhh those were the days. But Michael Emerson certainly made us all believers in BENJAMIN LINUS!) But Sayid, Ana Lucia and Charlie DID find a body buried underneath a smiley-faced hot air balloon and the driver's license did belong to a Henry Gale of Minnesota. We have been told several times that we would get his story, but we never have. Will we in season 6? Is it important? The Whole Richard Not Aging Thing - Yeah, I know "Jacob made him that way", but what does that mean? Why does Jacob not age either? And Richard looks so clean cut all of the time from 1954-2007. Why was there a period in the 70's when he grew his hair out and went all native on us? And of course, where did Richard come from? This brings me to my next question. Where is our Black Rock backstory?! - The Black Rock seems to be a pretty essential story in the LOST Mythology. 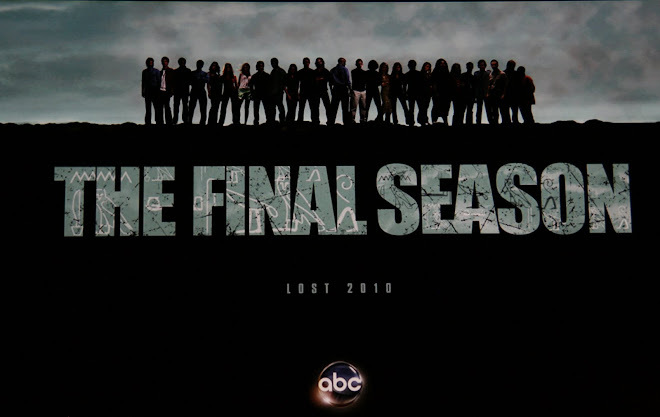 So important, that they have saved it for the final season to reveal it to us. Will it come as part of Richard's back story? Was he aboard the Black Rock vessel? We know that Magnus Hanso was aboard the ship who is a descendant of the DHARMA Initiative's financial backer: Alvar Hanso. 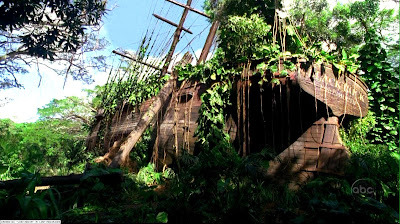 But here's a big question I'd like the answer to: How did that darn ship end up in the middle of the jungle on the island? 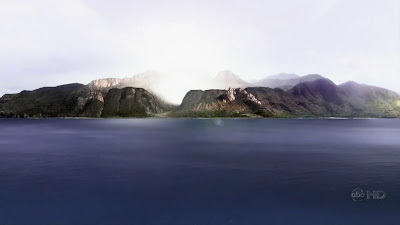 After season 4, I just assumed that the Island moved and appeared right underneath the ship (crazy I know), but in the finale of season 5, we see the Black Rock sailing towards the Island as Jacob and the Man in Black talk. So, I ask, WHAT IS UP WITH THAT? 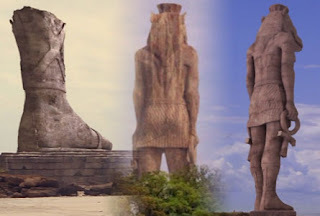 How did the 4-toed Statue (Taweret) get destroyed only to leave the one foot (Jacob's home)? - Many look to the volcano (mentioned in season 3's "The Man Behind the Curtain") erupting for answers. Could it have been in a battle between the Black Rock people and The Others? The Man in Black mentions to Jacob "They come, they fight, they destroy, they corrupt". Could DESTROY have anything to do with the statue? And while we are on the subject, where is this volcano on the island?? 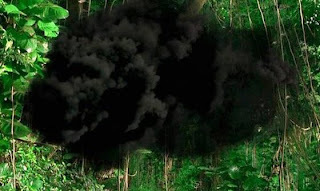 What IS the Smoke Monster? - Obviously, we need answers here. They reveal something special about this monster every time it appears. We know that it is a security system, according to Rousseau. We know that it can infect people's minds (as we saw what it did to Rousseau's crew). We know that it can look into people's memories and that it can take the form of dead people from these memories. (Definitely Eko's brother Yemi and Alex. But possibly Locke and Christian Shephard?) We know that it judges people and has a pretty bad temper with people that will not repent! We know it sounds like the monster is on tracks when it moves. It can be summoned by Benjamen Linus (well at least the one time) by pulling a drain out of a muddy toilet. But WHAT IS THIS THING? I wonder just how much they're going to tell us about the monster. If they get into explaining what the composition of the monster is, it could get very much like explaining that midi-chlorians are what make up the FORCE in star wars. (aka - As Damon Lindelof explains "something no one really wanted the answer to"). Some things you just assume are part of that universe and it should be accepted. Maybe that's a cop-out, but I don't think any answer to the monster would really be satisfactory to me! Except maybe that it is somehow related to the Man in Black. What say you peanut gallery?! The Interconnected Lives of our Island Dwellers - Why are everyone's pre-island lives so interconnected? Were they all MEANT to be on flight 815? Was there some purpose for them being on the flight? Was Jacob behind recruiting all of these people for the island? Is there some higher power than even Jacob? 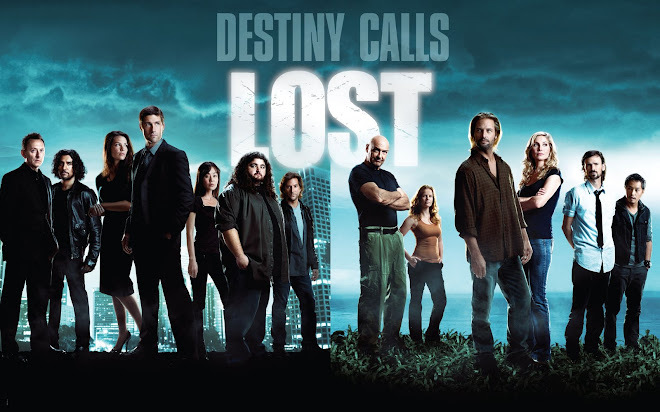 What exactly IS the end game of LOST? And why are these people so important for it? The eternal Love Triangle (Jack/Kate/Sawyer). How will it End? - There are times when Jack and Kate seem perfect for each other. There are times when Sawyer and Kate do as well. Is there any really happy way for this to all end? Is a happy ending even in store for any of our LOSTIES? I keep thinking that the only way to end this love triangle is for one of the leading men to die. And how will they die? In some huge sacrifice for everyone AND specifically for Kate and other said man. Now, come on, Jack wanted to blow up the island for another chance with Kate! Call me a sucker, but I always root for the Leading Man to get with the girl! But, I am also conflicted. I feel like Jack isn't going to survive the final episode of the show. But, we have also seen how selfless Sawyer can be at times. I could see him making an ultimate sacrifice. Or, would Option 3 be a possibility? Kate dies and Jack and Sawyer survive? Crazier things have happened. Any way this one ends up, there are sure to be some portion of fans upset by the result! Desmond's Vision of Claire and "baby" getting into a Helicopter - So, did they completely forget this storyline? 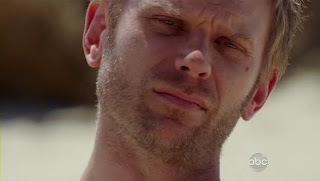 Desmond tells Charlie that he saw Claire and "The Baby" getting into a helicopter and leaving the island. This is why Charlie gave his life in one of the most gripping moments of prime time television EVER! Aaron is now 3 years old and really can't pass as a baby! So even if he did come back to the island Desmond wouldn't see Claire taking him as a baby back on the chopper. Of course, it could be in an alternate timeline that Desmond saw this happen. Perhaps in a rebooted history? Why did dead Christian Shephard (or Man In Black possibly) find it so important that Claire had to stay with him while the island moved? Did he know that Claire was SUPPOSED to get on that helicopter? Oh, that brings me to another question - is Claire even alive? Miles was certainly getting a weird vibe from her after Dharmaville was attacked by the freighter crew and the house blew up on top of her. She wakes up talking about Charlie, and then Miles can't stop staring at her. Did I mention Miles has a thing for Dead people? Oh boy, can this show get any crazier? We will see Claire in the final season, so maybe we can clean up this mess! The Ghosts, The Dreams and the Crazy Animals - Before Hurley Talked to them and Miles was "feeling" Dead people's last thoughts and experiences, there were still ghosts on the island. Jack saw his dad 4 or 5 episodes into season 1. Now we think Christian is some kind of smoke monster apparition, or Man in Black or both. How are these ghosts following our survivors OFF of the island? Jack saw Christian in the hospital right after the "smoke" alarm went off (hmmm smoke?). Hurley played chess with Mr. Eko, hung out with Charlie, talked to Ana Lucia. You name it! And what about all of the crazy dreams people have on the island? Eko talked to Ana Lucia, Charlie had those awful baptism dreams, Locke saw his mother pointing to the Nigerian plane crashing, Hurley dreamed of Jin speaking english in a chicken suit, Ben said he used to have dreams, etc... Locke had lots of crazy dreams even the one with Boone taking him through the airport, and the other one with Horace building the cabin. What is it all about? And yes what about all of those animals in season 1 and 2? Kate seeing the black horse on and off of the island (not to mention Sawyer talking as if he was Kate's father asking why she killed him)? Sawyer with the crazy Boar? (I don't expect answers to these animal ones but I wanted to bring them up while I was thinking about them!) Crazy crazy show....can they answer ANY of this? Is Ben really a villain or truly a good guy who has done bad things to get the job done? - And will we ever be able to know if he's telling the truth about something? Christian Shephard - How exactly DID he die in Australia? We never saw it happen. We just heard it was heart failure. Had he been to the island before? Did it lead to his alcoholism off of the island? How important is the Shephard family to the Island? 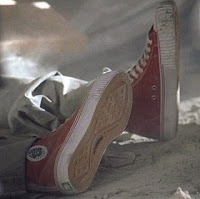 What was up with Jack's grandfather trying to run away from the nursing home with Christian's shoes? Was there more to that story than meets the eye? Will Jack and Christian finally reconcile on the Island? The Psychic Malkin in Australia - This is another one that I always thought there was more to the story. Malkin tells Claire that she HAS to get on Flight 815. It seemed as if he KNEW that plane would go to the Island and that SHE would raise the baby. He also interacted with Eko and told him that he was a fraud. But then why was he so insistent on Claire getting on that plane? Was Malkin involved with anyone else getting to the island? Was he in cahoots with Jacob, Man in Black, Christian, Widmore, anyone??? I want more answers! Malkin also was very concerned about Claire raising Aaron. And we saw Kate raising him in season 4. The theme was brought back in season 5 when Ben tells Kate Aaron is not her son. And Hurley hears from Charlie and tells Jack "You are not supposed to raise him" in season 4. Of course, that could have been about John Locke for all we know! There just seems to be more to this story of the psychic and Claire. And of course, how important is Aaron to this Island? What's in the Guitar Case? 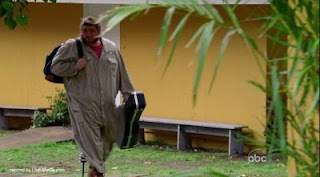 - Jacob brought Hurley a guitar case, and he was convinced he had to bring it on the plane. Yes, it was probably, in part, to recreate the events as best as possibly on Ajira Flight 316 to Oceanic Flight 815, but there has to be more, right? Who are the Shadow of the Statue people? - We have met Ilana and Bram and they have exposed Locke as "NOT Locke". They appear to be allies with Richard and therefore Jacob. They tried to recruit Miles for THEIR TEAM instead of Widmore's team. We see a flashback of Ilana where Jacob comes to see her. She is wrapped in bandages in some Russian medical facility. He asks her to do something for her. It probably had to do with coming to the island. Maybe even bringing Sayid with her. But what else? Have these people been to the island before? What were they doing OFF of the island? Are they part of the whole conspiracy to bring the 815ers, Desmond, and others to the Island in the first place? Who or What is/was Jacob? - An ageless being, who seemed to have brought Locke back from the dead after he was pushed out the window from his father. He seemed to have healing powers but he still managed to leave Locke paralyzed until he came to the island. He clearly has been involved with some of the 815ers since early on in their lives. He went out of his way to touch them. Did this make them special? Make them able to survive the crash of Flight 815? Some of them were visited by Jacob after their initial stay at the Island (Sayid, Hurley). So what did this signify? Is Jacob the almighty FORCE of GOOD on the Island while the Man in Black is Evil? Or could it be reversed? The themes of Black and White have been on the show since the very beginning. Light/Dark.....Jacob was wearing white when he talked to the man in "black". There were the backgammon pieces, the black and white stones with Adam and Eve. Is the end-game of LOST truly a battle of good vs. evil? What will it accomplish in the end? Is Jacob truly dead or did Ben killing him make him more powerful than we can possibly imagine? (a la Ben Kenobi?) Stay tuned for season 6! What is the Temple? - First heard of in season 3, Ben instructs Richard to bring their people to the Temple. Ever since then, a group of others (including Cindy and the kids) have stayed there. (If I had more questions than 23, I'd ask about Cindy and the kids!!) Richard brought Ben to the temple to HEAL him but also take away his innocence. (There is no way to say that without taking it the wrong way!). We have seen the outside WALL around the temple in season 5. We know the Smoke Monster lives there. But we have yet to see the Temple and what its purpose is. 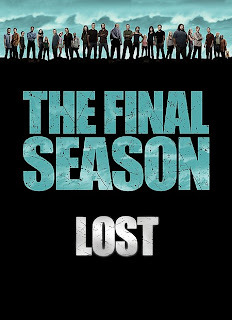 It is guaranteed to be a part of the final season of LOST! Do we think this is where Richard and some people can go to come and go from the island as freely as they do? 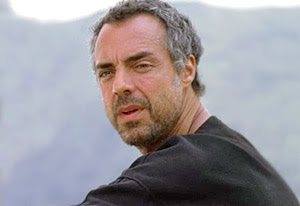 (Tom left the island to give Michael his mission, Richard somehow get Locke's father to the island after causing a crazy car accident a magically transporting him to the Island. Richard also left many times to check on Locke's birth, and different stages of his life) Is the temple the MAGIC BOX that Ben speaks to Locke about in season 3? We shall see! Is Locke really dead? - We are told on LOST that Dead is Dead. So, by default, Locke must be dead. But, even after his return to the island, Fake Locke had memories of his former self and seemed to be able to communicate with Sun and Ben as he always had before. It didn't seem like a DIFFERENT person, just Locke with more confidence and with a purpose. Yes, in the 4 toed statue, that looked like a different person. Both Christian Shephard and John Locke died off island and were brought back to the island and seem to be walking again. But Shephard was staying in the cabin and told Locke he could speak for Jacob. We found out that Jacob hasn't been in the cabin for a very long time. Hmmmm It would seem that the Man in Black has been assuming the role of both of these people. But it just cannot be that clear cut. The character of John Locke needs closure and I'm sure we're going to get it. But unless we are rebooting the clock, I just cannot figure out how they're going to do it! Sadly, I do not think there is a single sentence answer to this question that would satisfy all of the viewers whose imaginations have been allowed to run wild for 6 years. And, this might be one of those questions that the producers decide to leave pretty ambiguous in the end going with the whole "midichlorian" analogy again. "It just exists, accept it and now let's deal with the characters who were put into this world." Is there really a way that they can explain it to us? I have confidence that Damon, Carlton and the writers will strike the right balance when they decide to answer vs. leave open ended. I believe they will give us a satisfying conclusion! DHARMA Food Drops - How were they able to do it? Where did they come from? Who built the Lamp Post station? Was it Daniel Faraday? Eloise talked about a man so brilliant that created it. Will we learn more about Annie? (Ben's best friend during DHARMA Times) And will there be anything made of my crazy theory where Ben told Jack that Juliet looks just like Sarah (Jack's ex-wife) and Goodwynn's wife told Juliet that she looks just like someone Ben knew? 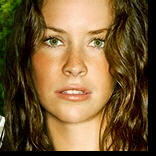 My theory was that Annie was Sarah. I know, completely ridiculous but I never let it go! Chances are more that Juliet looked like Ben's Mother which is why he grew an attachment with her. But what do I know? Why did some people on Flight 316 go to 1977 when the others went to 2007? Convenience for the writers or is there a reason? I encourage everyone to chime in with their favorite mysteries, conundrums and even theories as we await the exciting concluding season that begins in 23 days! As always, I will be there with my wordy recapping and look forward to the great discussions we always have. One...LAST...TIME! See you then LOSTIES and NAMASTE! Click Links to Support! : I took on a night job to pay some extra bills writing at Gather. If you get a chance, check out my articles and also if you like what you read here, please click on this link to at least register a "Page View" at Gather for me! Thanks for your support!